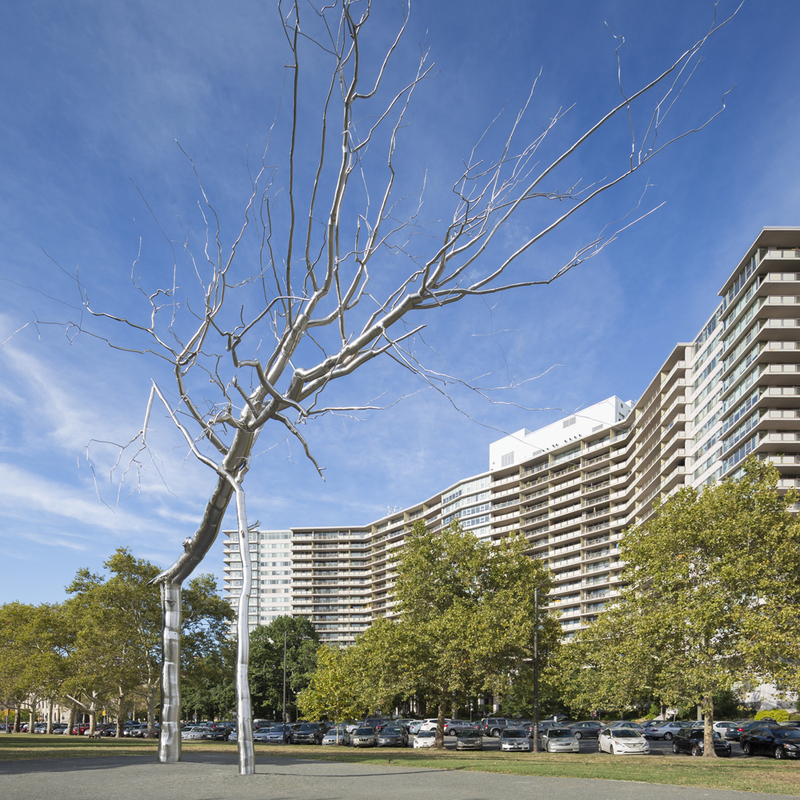 A project of the Association for Public Art, artist Roxy Paine‘s masterful Symbiosis sculpture was named Philadelphia Magazine’s Best of Philly ® 2014 – New Public Artwork! Recently installed in Iroquois Park (map below), Symbiosis is on temporary loan to the Association for Public Art for one year, courtesy of the artist and Marianne Boesky Gallery. The 34-foot sculpture was hand-fabricated from thousands of pieces of stainless steel pipe, plate and rods, which were welded, formed and polished in Paine’s studio.